In 2014, Shiny signed an agreement with the Taiwanese government to generate solar power at its manufacturing facilities. As part of the project and in conjunction with the Taiwanese government, it has installed solar panels on the roofs of three of its factory sites to produce green energy. 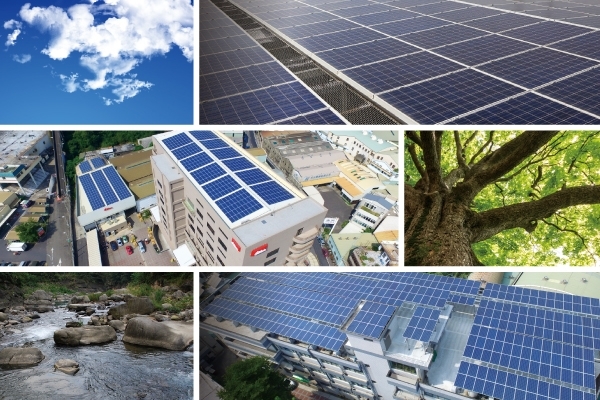 According to the Taiwan Power Company (Taipower) and the Industrial Technology Research Institute (ITRI), the initiative is estimated to produce 757,000 kWh from solar power each year. This will save 386,000 kg of CO2 annually which means that Shiny will own 386,000 kg of carbon credit from this contribution every year. In addition, Shiny confirmed its commitment to the environment by planting 400 trees at its three factory locations.